I admit it. I have an irrational, juvenile love for The Dukes of Hazzard. I still clearly remember the day when I was six-years-old that my dad was watching the pilot episode on our RCA TV. I just couldn’t believe that they actually had a show like this, with wall-to-wall car chases, that I was allowed to watch. Did you know that the Ford F-Series is celebrating its 65th anniversary in 2013? That’s a pretty significant milestone for the top-selling vehicle in America. And the fact that many of these trucks are built right here in the Kansas City Claycomo Assembly Plant should also interest some of the local readers here on HMC. Every year, the collective eyes of the automotive industry turn to the North American International Auto Show (NAIAS) in Detroit to see all the latest concept and production vehicles from auto manufacturers throughout the world. This is arguably the most important car show anywhere, but it doesn’t open to the public until Saturday. Well, it doesn’t open to the regular public. I was already there, earlier this week, for the media preview. That means you, the readers of Hover Motor Company, also get an advanced look at this incredible event. 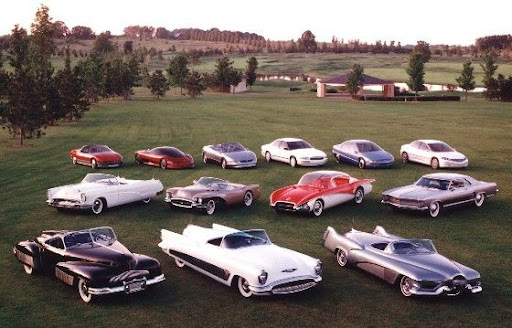 Not long ago, we posted a quick Corvette history with an example of every year of production Corvette from 1953 to 2013. Well, this is the long-anticipated continuation of that story, because I was in Detroit this week to see the unveiling of the radical new 2014 Corvette Stingray. As someone who always has an old car for a daily driver, a vehicle like this 2013 Acadia Denali is a real eye-opener. I can hardly believe that people get to experience this kind of luxury. I have never been more pampered in my life than the week I spent with this bus. It was wall-to-wall leather, brushed aluminum, chrome, and shiny wood trim. This vehicle was the mobile equivalent of leaving home and staying in a five-star hotel. Today I want to talk about one of my favorite automotive nameplates of all time: the Chevrolet Monte Carlo. When this car debuted in 1970, Chevrolet called it a “personal luxury coupe.” You’ve just got to love that. This car had the longest hood in Chevrolet history, but a relatively small interior. A V8 monster like this was purely gluttonous, and in my opinion, one of the best cars of its time because of it. What do potato chips have to do with a rare and unusual car collection? Well, in the case of the Auto World Museum in Fulton, Mo., they have everything to do with it. You see, William Backer, of Backer’s Potato Chips fame, loved rare Classics. So in the 1950s, he embarked on a journey that would result in what is likely the finest auto collection in central Missouri. One of the reasons my dad and I decided to go to this museum is because we had been there before, and I thought it would be fun to see it again. So we headed east, straight to the old K-Mart building on the main drag in Fulton where we thought the museum would be. Turns out, that’s a Tractor Supply store now. After punching the address into the GPS, we discovered that the museum moved into a large, 18,000-sq/ft facility in 2006. For anyone who has their doubts, I am here to tell you that Buick has made a complete departure from their geriatric image with the 2013 Regal GS. Don’t let that waterfall grille and stylized version of David Dunbar Buick’s family crest fool you. If you are expecting any remnants of the deceased Park Avenue, LeSabre, or Lucerne, forget it. To illustrate that point, I took a new Regal GS to a place where the old Buick reigns supreme: Branson, Missouri. It has been a running joke around here that you can’t swing a dead cat without hitting some kind of big, old Buick in the country music capital of the Ozarks. Apparently, the Andy Williams Theatre draws them in like moths to a bright light. It’s easy to look at the Harley Earl-designed 1938 Buick Y-Job today and dismiss it as just another neat old car. But put it in the context of 1938, and you’ll realize that it is one of the most radical, influential cars of all time. Cars back then were much different. They had tall, narrow bodies. There wasn’t much room across, but there was plenty of headroom to accommodate the hats people liked to wear. There were running boards and fenders that attached beyond the body. This is one of the reasons they were so narrow inside. Headlights typically were housed in big pods over the fenders. Taillights were an afterthought—tacked unceremoniously to the back. Wheels were usually 16-inches in diameter or better. The roads were getting better by the late 30s, but people still placed value on the ground clearance the larger wheels provided. You don’t have to be a grown-up to develop a passion for Buicks. Over the years, General Motors’ “Doctor’s Car” has been rendered in miniature hundreds of times. What youngster wouldn’t want to imagine themselves in a powerful ’87 GNX or a luxurious ’53 Skylark? 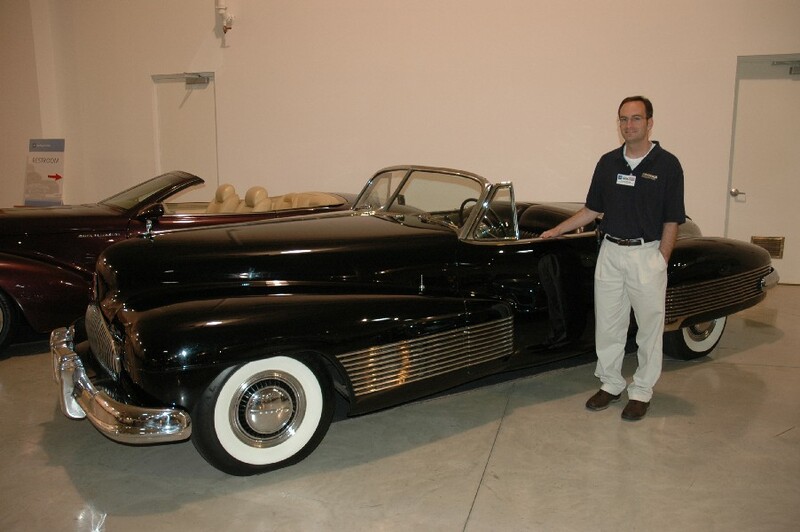 With that in mind, today’s “Buick Week” entry examines all kinds of Buick scale models and toys. Some of them may still be favorites among kids today. Some of them may be full-fledged adult collectibles. But they all convey the enthusiasm that people have had for the tri-shield brand over the years. If there ever were a car company that was accused of being too old fashioned, while at the same time achieving its greatest success by looking into the future, it's Buick. It is one of the best-kept secrets in the industry today, yet has one of the most colorful, eventful histories imaginable. My first car was a Buick, and my dad has had a few over the years, so I have kind of a soft spot for the brand. So let's take a look at the history of this storied company. David Dunbar Buick founded the company that bears his name in 1903, and the first cars were sold to the public in 1904. Those first cars, known as the Model B, were reliable because of their durable valve-in-head engines. So bulletproof was this design that Buick's mantra, "Valve-in-head is ahead in value" served the company in advertising pieces decades later.